Paws Dog Camp has launched a newly updated site for its dog care, dog walk and dog excursion services in California. The team offers pick up and drop of services and affordable dog walking. 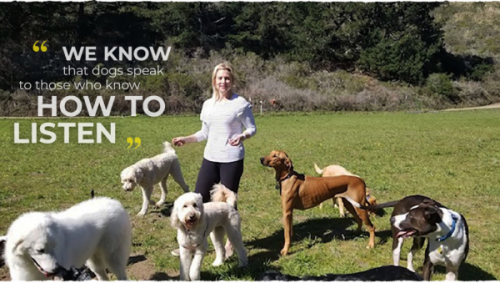 Paws Dog Camp in San Mateo, California, has launched an updated site showcasing the services the company can offer for local clients. Offering fun play for dogs, daytime excursions, and pet sitting, Paws Dog Camp is fully committed to offering the highest levels of care for clients’ dogs. Many people find that they don’t have the time to give their dogs the long walks and play they need. This is especially hard for busy pet owners who have demanding jobs and don’t get much time away. But it’s important for pets to be well looked after, and getting the right amount of exercise is very important. Paws Dog Camp can make looking after dogs easier by offering high quality play, excursions, walk and dog care. The team at Paws Dog Camp provides a pick-up and drop-off service for those who sign up for dog excursions and walking. Paws Dog Camp can collect and transport pets in an air conditioned van, and they aim to offer service so good that the dogs recognize them and get excited as soon as they pull up. To ensure that dogs are fully comfortable with the team, they advise at least two excursions every week. This is beneficial for the dog in a number of ways and helps to ensure the walking goes smoothly. The team provides a wide-ranging service with clients located as far afield as South San Francisco, Atherton, Moss Beach and Montera. Full details can be found on the URL above, and interested parties can get in touch at: 650 703 2162.